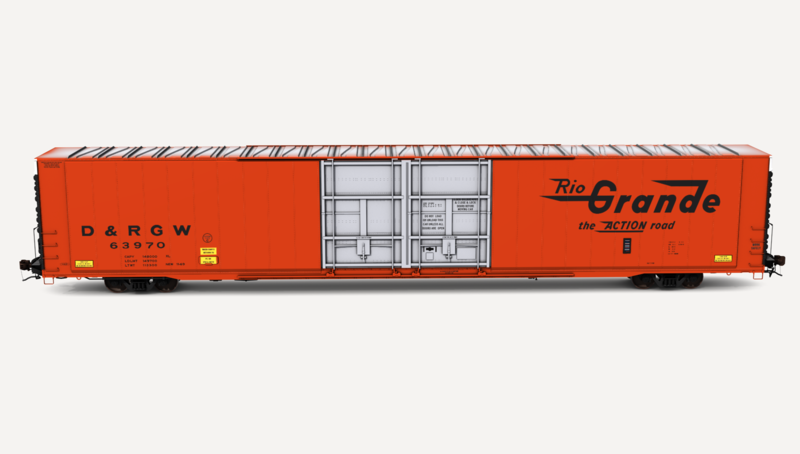 Denver & Rio Grande Western Greenville Steel Car 86'6" auto parts boxcar. 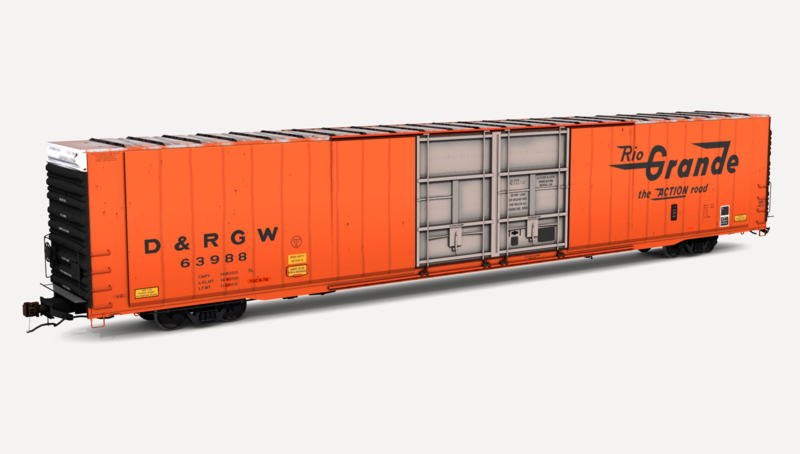 Includes two (2) boxcar skins. 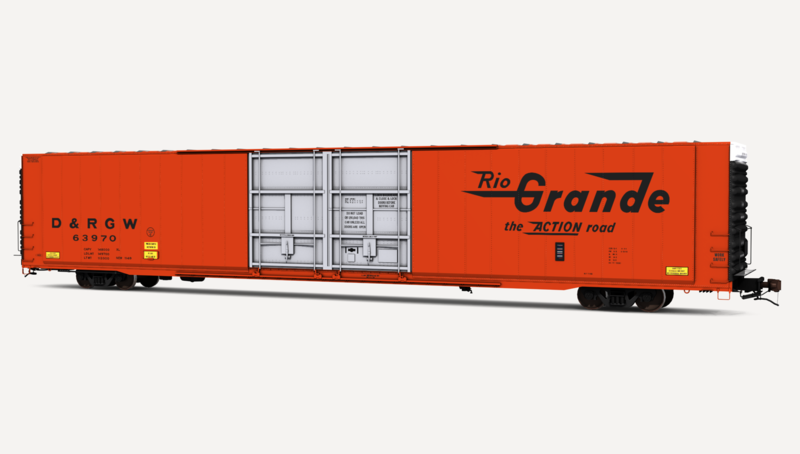 Designed solely for the American auto industry, the 86'6" boxcar provided automakers the specialty-boxcar needed to transport car parts to their assembly plants. 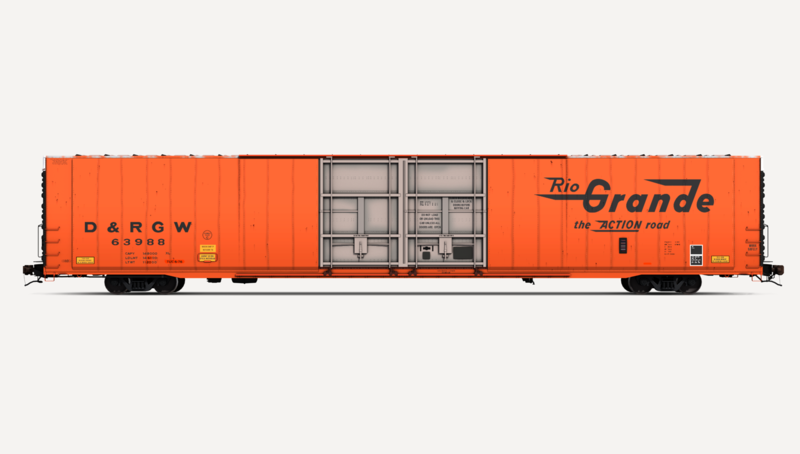 Greenville Steel Car, Thrall Car, and Pullman Standard were the major manufacturers of the auto parts boxcar. 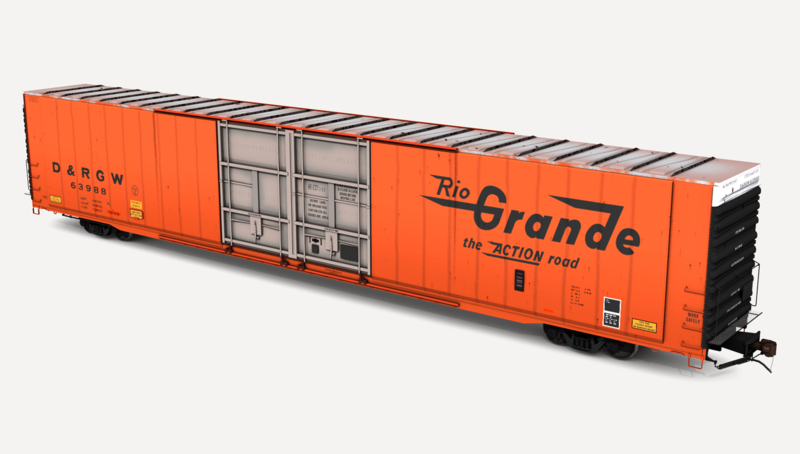 Production 86'6" auto parts boxcars started being built in 1964 and continued to be manufactured until the end of the 1970s. Some of these boxcars still serve the railroad in the modern era. TANE SP1 built-in automatic running number generation allows for randomized running numbers upon placement of the boxcar on the tracks in-game. 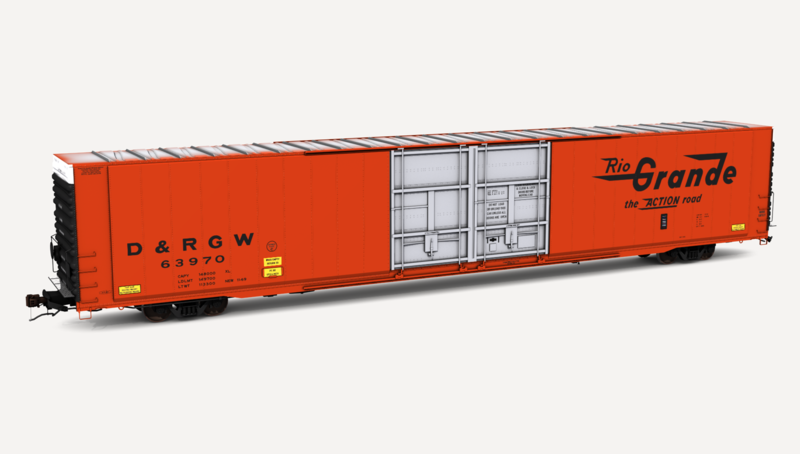 The Greenville Steel Car 86'6" auto parts boxcar is a very-detailed model. Multiple 2048x2048 texture files allow for crisp and unique (non-mirrored) textures in-game. Exclusively made with the improvements of the T:ANE engine in mind, this is a performance demanding model and newer hardware is recommended.